Dr. Wanrudee Isaranuwatchai is a Senior Researcher at the Health Intervention and Technology Assessment Program, Ministry of Public Health, Thailand. 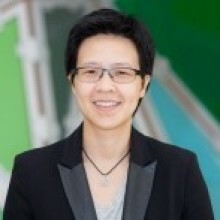 She is also a Research Scientist and the Director of the Centre for Excellence in Economic Analysis Research at St. Michael’s Hospital in Toronto, an Assistant Professor at the Institute of Health Policy, Management and Evaluation, Dalla Lana School of Public Health at the University of Toronto, and a Health Economist at the Canadian Centre for Applied Research in Cancer Control in Canada. Her research focuses on how to apply economic evaluation in the real world setting as well as how to advance methods in economic evaluation. She has experience conducting economic evaluations using person-level data and decision modeling. She has collaborated with researchers and decision-makers in various areas to help communicate the value of health initiatives using economic evidence. Dr. Isaranuwatchai is dedicated to promoting the use of evidence in healthcare decision making. I am conducting research in health centers. Two types of costing providers, center specific and non center specific. What criteria do I have to choose for one health center to be representative of others or what number of health center should I use to make it representative?